To ensure dependable operation, even in the most demanding environments, the new DLRO100 instruments use novel circuitry that gives high noise immunity and guarantees stable readings. For physical protection, they feature enclosures with an IP54 ingress protection rating, even when the lid is open and testing is in progress. Operator safety in adverse conditions is assured by a CAT IV 600 V safety rating in line with IEC61010. With an optional DC clamp, Dual-Ground operation is also supported. 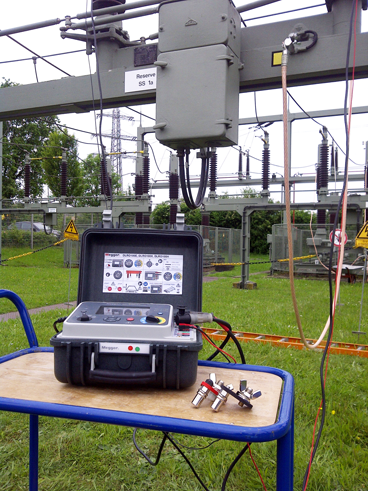 This greatly enhances safety when working in substations and similar environments by allowing tests to be carried out with both sides of the equipment under test grounded. 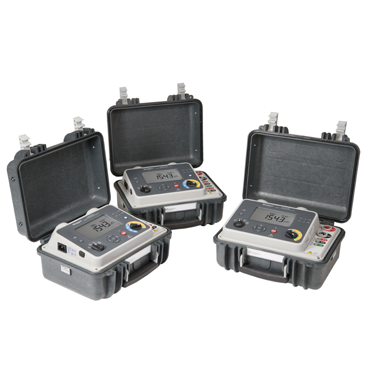 DLRO100 instruments have a wide range of applications, including checking the resistance of busbar and cable joints, measuring wire and cable resistance and verifying lightning conductor bonding. They are also well-suited for testing switchgear and circuit breakers during manufacture and in the field, and they offer a smooth DC output that is particularly valuable for circuit breaker tests. Instruments in the DLRO100 family have a measuring range of 0.1 µΩ to 1.999 Ω with a resolution of 0.1 µΩ. Results are shown on a large LCD display panel and, depending on the model, can also be stored in a large capacity internal memory for later access via the display or downloading via USB. Versions are also available with support for remote operation, Bluetooth connectivity and asset/result tagging. All models offer a choice of test modes. Manual mode allows the user to initiate the test once the probes are in contact with the object under test. When the test button is pressed, the instrument performs a single test. In 'Auto' mode, as soon as the potential leads are connected, the test starts automatically. To repeat a test, the user simply breaks and remakes contact with the potential leads. In 'Continuous' mode, the user connects the test leads and presses the test button. The instrument will continue to test, updating the display after each new test cycle, until the test button is pressed again. For use with its new DLRO100 digital low-resistance ohmmeters, Megger offers standard and Kelvin lead sets. These are available in lengths of 5, 10 and 15 m, and all have a CAT IV 600 V rating.